ECAS’ study “5 Takeaways on Brexit: Outlining Possible Scenarios for a New UK-EU Relationship and their Impact on Citizens” was featured on 13 April 2017 on Europe Street news. 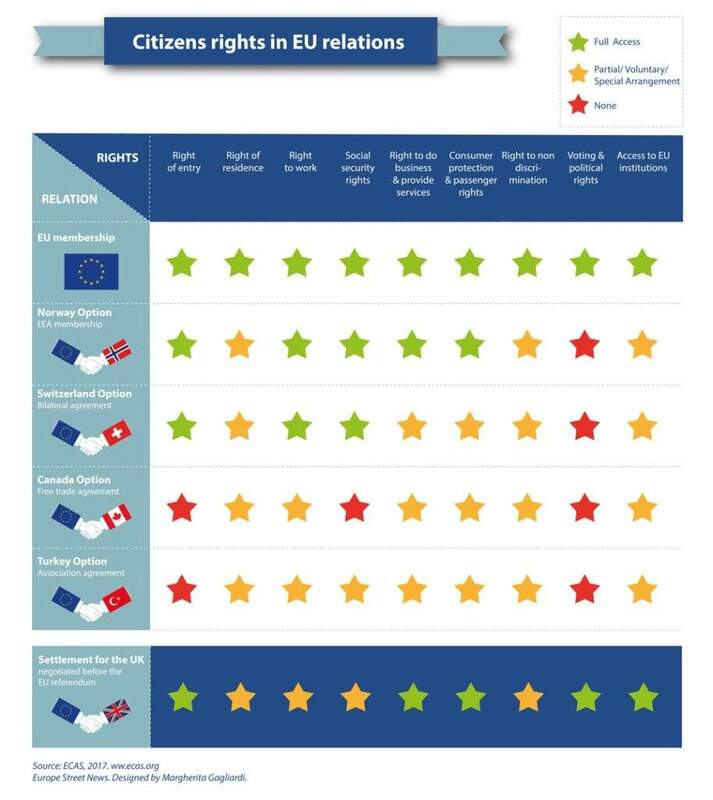 “With this report we wanted to show different scenarios currently available for EU citizens’ rights. There might be others. 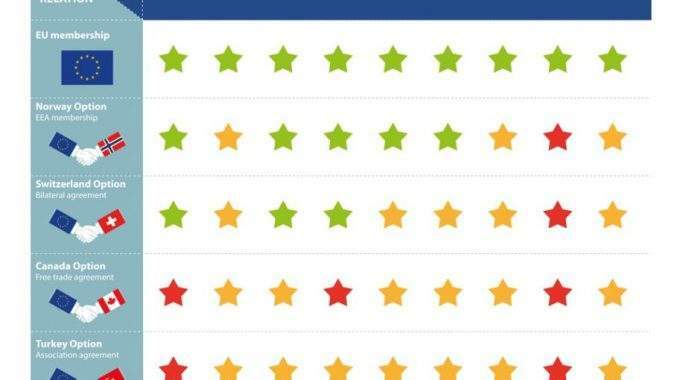 The conclusion is that there is no best alternative to EU membership under which all rights EU citizens in the UK and UK citizens in the EU currently enjoy can be guaranteed, at least to the same level as they are today,” said ECAS’ Outreach Manager Marta Pont. Europe Street is a news site for Europeans in the UK, Britons living in other EU countries and anyone interested in a European perspective over the changing relation between the UK and the EU. NB: The infographic was designed by Margherita Gagliardi, Europe Street news.